I've known SereniTEA to be the first and only teashop in the Philippines to utilize a tea espresso machine in brewing its tea products. Since it started a couple of years back, a lot of customers like me keep going back to SereniTEA despite several other brands that opened. This 2013, SereniTEA announces two great news that will surely make SereniTEA-lovers excited. Yes, you read it right! There's going to be a whole bunch of new drinks coming our way by the last week of February. Lucky me, I've got to taste some of it before it goes public. Here's a rundown of some of them. 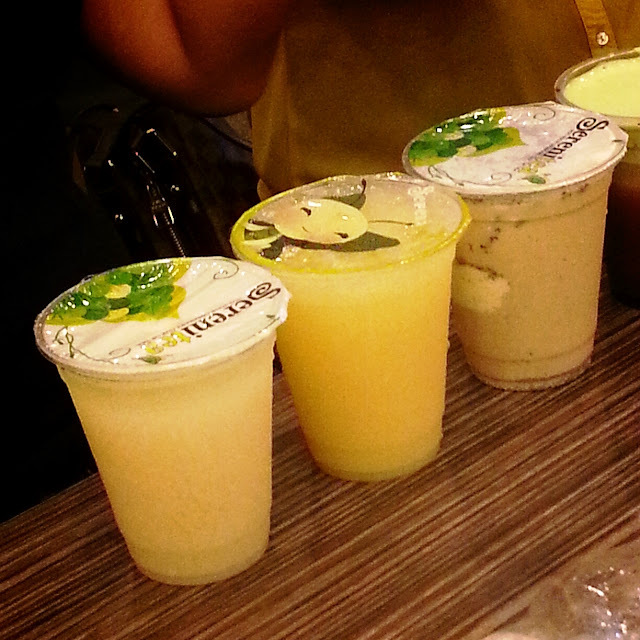 Yakult lovers like me would love the Tropical Yakult (top) and Lychee Yakult (bottom right). These drinks are Yakult-based concoctions, where one is mixed with lively tropical fruit flavor and the other one with lychee flavor. 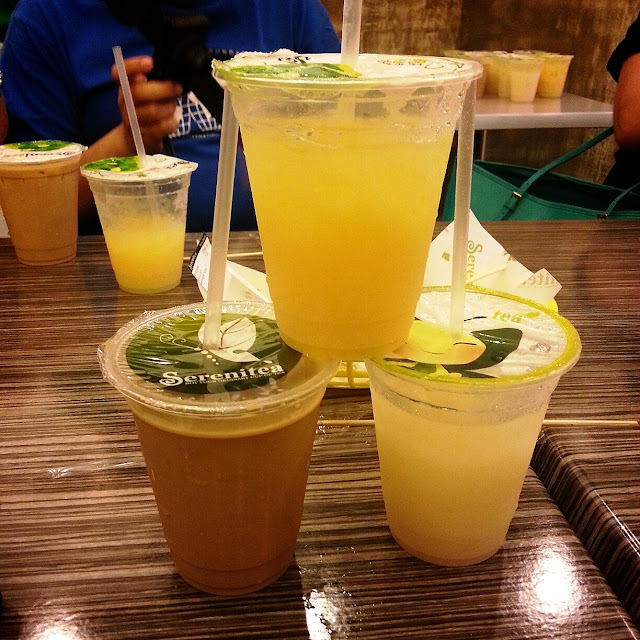 Both drinks were very light and refreshing, but I prefer Lychee more for its distinct taste. 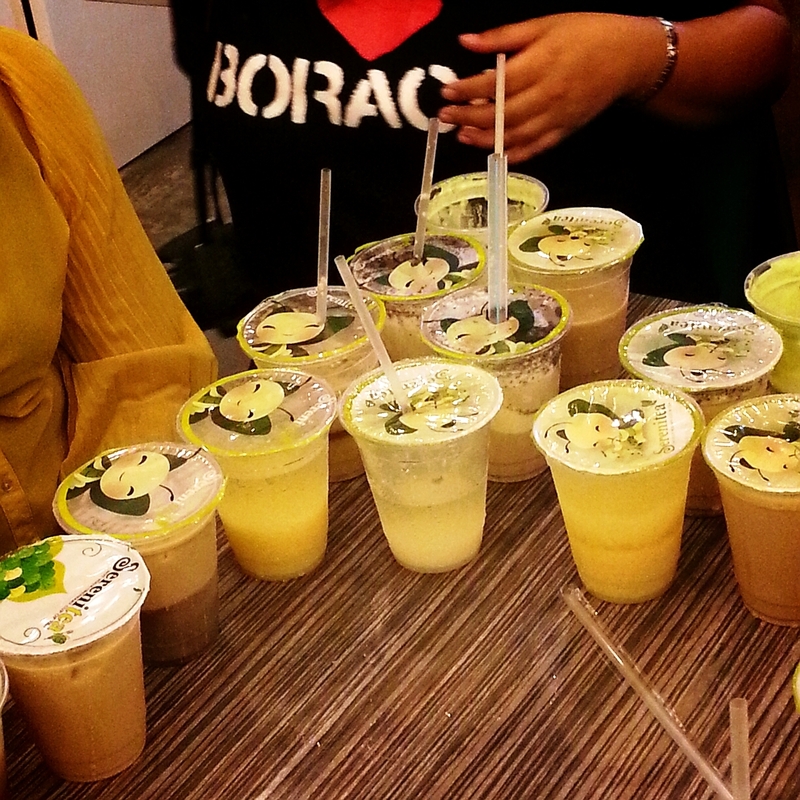 Also included in the picture is the SereniTEA-trademarked Chaffe' Milk Tea (bottom left). It's that one drink that brings together the taste of tea and coffee together. Though combined, I was still able to distinctively taste the tea and coffee, and suggested that SereniTEA offers customers with option for additional coffee shot. I'm not a fan of both chocolate and green tea, but I surprisingly loved the new Cocoa Green Tea Frost. The match-flavored foam topping was sweet and creamy, which when mixed with the cocoa drink tasted great! SereniTEA tipped us to sip the foam from the cup rather than mixing it straight away with the tea. 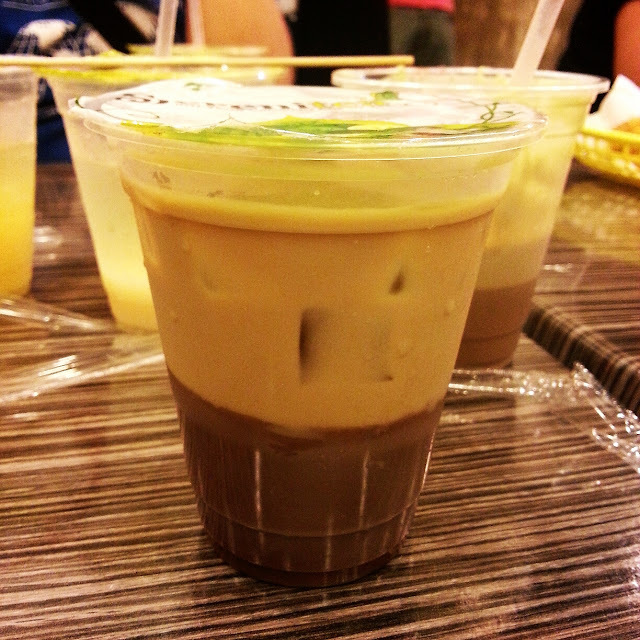 SereniTEA also welcomes a new addition to its sinkers list called the Chocolate Pudding. Now, customers can have a choice between the Egg or Chocolate Pudding. 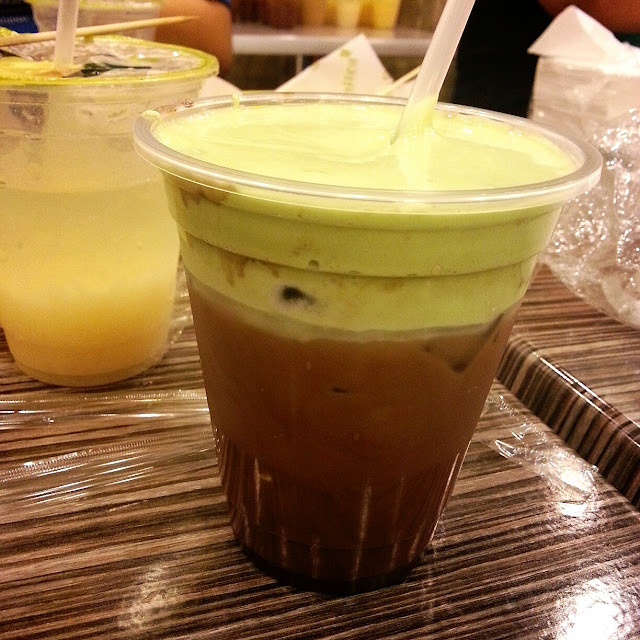 Featured above is the Okinawa Milk Tea with chocolate pudding. 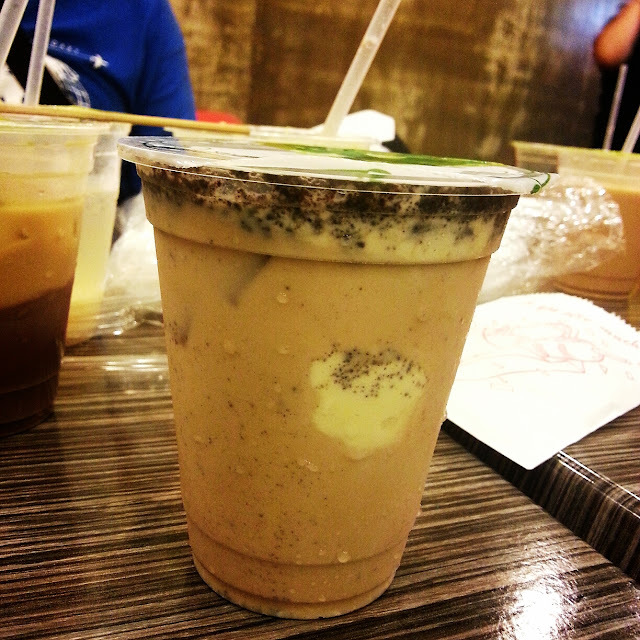 Another exciting new drink that I really liked was the Cookies and Cream Milk Tea. It uses assam as its base tea, then mixed with special cream and crushed cookies. There are tons more of new drinks coming to the SereniTEA branches very soon, so watch out for that. It's time to celebrate as Cebuanos will now have their very own SereniTEA branch in the first week of March. It will be located at the Ground Floor Calyx Building right across McDonalds drive-through, W. Geonzon Street corner J. Abad Santos, Cebu IT Park, Apas, Cebu City. It will be open 11am to 11pm daily. Like the usual opening or anniversary treat, SereniTEA will offer its famous Jumbo Cup (one-liter tea goodness) drink promo for one day only! Don't miss its opening! i'd love to try the lychee yakult!